Join us May 10-11 for two extraordinary nights of Icelandic cuisine as chef Aggi Sverrisson—the mastermind of London’s Michelin-starred Texture—returns home to create a culinary journey inspired by the interplay of tradition and reinvention. 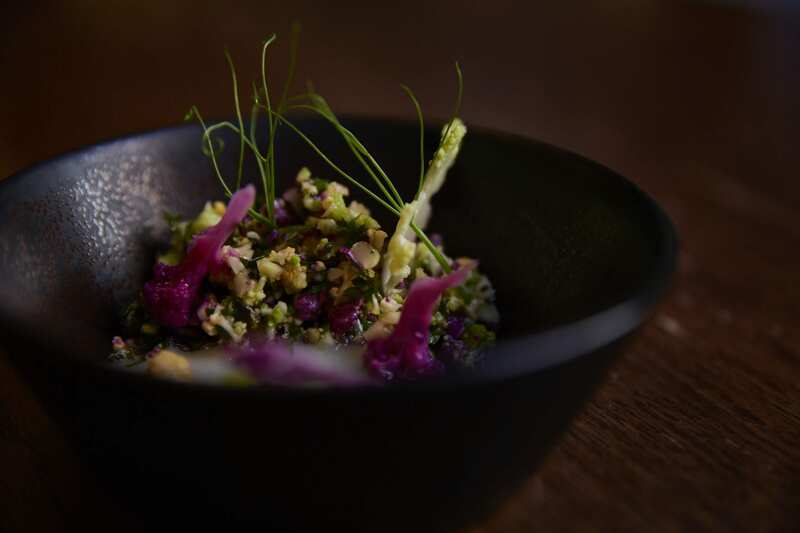 From the Moss kitchen in the heart of a volcanic frontier, Aggi will conjure an exquisite, multi-course experience born of his imagination and made from Iceland’s freshest, purest, seasonal sources. Master Sommelier Clemént Robert will also feature in this unforgettable event, bringing his wisdom to bear on Aggi’s gourmet inventions and pairing each dish with a wine that complements and completes its savory possibilities. Born in Iceland, Aggi Sverrisson is Chef Patron and owner of Michelin-starred Texture Restaurant and Champagne Bar in London. The recipient of numerous accolades, Texture was voted New Restaurant of Year by The Independent in 2007 and received its first Michelin star in 2010—an honor it has retained for eight consecutive years. Aggi’s cooking career began at the age of 18, leading him from Reykjavík to London to Luxembourg and back to England in 2002 where he joined Raymond Blanc at Le Manoir aux Quat’Saisons, the oldest two Michelin-starred restaurant in the country. Promoted to Head Chef in 2005, he launched his first independent venture in 2007—Texture. Born in France, Clément Robert began his wine career at an early age, attending the hospitality school in Le Touquet and taking his sommelier degree at the age of 18 in Angers. Moving to England in 2006, he became head sommelier at the Hotel Du Vin Cambridge and won the Chaîne des Rôtisseurs’ International Young Sommelier of the Year competition in 2009. Four years later, he was named UK Sommelier of the Year. Robert reached the pinnacle of his profession in 2015, passing the Master Sommelier exam and becoming one of 229 master sommeliers in the world. That same year, he took charge of wine buying for the Texture Restaurant Group, a position he held until 2019 when he joined Caprice Holdings as Group Head Sommelier & Wine Buyer. One Michelin-starred chef. One master sommelier.